RJV 's Blog: Pawn sacrifice - Not Fischer? Pawn sacrifice - Not Fischer? 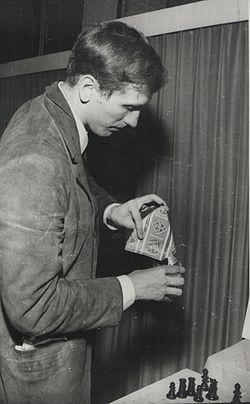 That heroes, from Bobby Fischer to Za (one of the many unsung heroines), have been treated badly and consistently over a period of time is not such a great concern, but what is, is that even Hollywood did not think it necessary to show a semblance of Fischer at least as how he was physically. Imagine this picture of Fischer almost resembling Captain America and yet Hollywood did not find anyone closely matching the height or appearance, even if fugitive status and franchise start with 'f'! The reason I find such deviations so odd as to warrant a mention in my blog is because many go around memorizing how to respond and how to 'position' themselves with their opinions by memorizing all those personalities, foreign, who may have either a fugitive status or a refugee or some unlawful stain to them and this, they consider as some kind of a patriotic, strategic stance (although mentioning that they themselves may never even have talked to greatness is definitely not demeaning myself) and then pointing out all the other persons' 'mistakes in life', who praise or glorify those 'tainted' greats, as due to them not following 'protocol'. It is very important, this bloated 'protocol', because there is a coterie that attempts to prove such 'thinkers' right by maliciously causing others who do not fall by the protocol to be shown deliberately and forcedly in bad light, with the excuse that it is meant as a 'lesson' for the younger in the organization and circles. Sometimes it is also important to think otherwise - some individuals bring an incredible lot with them for the country and Fischer was the one, who brought the Soviet Union to its knees at its own game - Chess and, respect for the US, with his genius. The legends that the chess manuscripts and the stories that exist about Fischer's impact on the Soviet grandmasters of that time, especially Botvinnik, Tal and Spassky, carry, are simply fabulous fables that only the Chess knowledgeable could appreciate. Titles like the 'lone American warrior defeating the mighty Soviet Union' also has considerable historical significance because of how the USSR would begin to see this genius, who time and again ridiculed Botvinnik's predictions and derisive remarks. 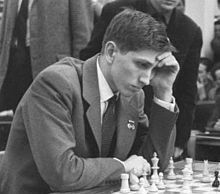 For not only had Fischer tamed the might of the super grandmasters of the era, he had also probably ignited a spirit that paved the way for the end of the Cold War. A case of too much thinking ! Stunning combination - a treasure! CI with VS Code 2015 - Gulp with a grunt!